Some say they are too expensive while others won’t now wear anything else. Whatever your opinion of them, Nike is sure to create a massive buzz in the football world after revealing the Superfly II. The Superfly II features a new, unique adaptive traction system designed for explosive acceleration. The Mercurial Vapor Superfly II also includes a re-engineered upper for enhanced fit and ball control for fast feet while Nike say the vibrant ultra-violet color boosts visibility on the pitch. 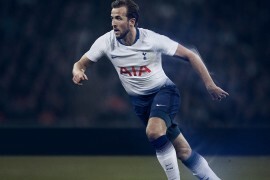 Nike’s design and engineering teams talked with some of the fastest players in the world, who emphasized that acceleration around a defender is just as important as beating him in a straight line. The Nike Sports Research Lab researched the world championship finals in 2006 and found that there were 845 slipping events over 63 games, or roughly 14 per game. Building on these insights, the Nike team collaborated closely with elite athletes including Cristiano Ronaldo, Zlatan Ibrahimovic and Alexandre Pato to create a boot that enables toe-off acceleration and minimizes slippage in game-changing situations. For me, it’s all about first-step acceleration, but twisting and turning around a defender is also important. The Mercurial Vapor Superfly II helps me do both, so I can beat my opponent and create scoring opportunities. The Mercurial Vapor Superfly II also gives consumers unprecedented access to the training insights of the world’s top players, teams and coaches through Nike Football+. Each pair of boots comes with a unique user code that can be used to unlock trade secrets from inside the game and the next installment of Nike Football+, Master Speed training content on NikeFootball.com. The Nike Football + Master Speed program provides exclusive access to Brazil national team stars Robinho, Fabiano and Nilmar, putting the power of speed directly into footballers’ hands and their game day preparation. Pelada – Learn high-speed ways to practice fast, competitive Brazilian football. Brasilerao – Meet the coaches and players of Brazil’s premier club, Corinthians. Experience four authentic drills with top club coaches. Gringa – Only the best Brazilians go to Europe. Get the inside track on the real difference between the continental games from the superstars who experience it – and apply it to your own game. Selecao – Enter the top secret world of the Brazil National Team’s training hideaway in the mountains, Granja Comery. Experience squad drills and 3-man exercises with a top CBF coach. In addition to these Nike Football+ Master Speed programs, footballers will have access to country-specific Nike Football+ activities like training sessions, trial events and player appearances. Nike Football+ is also available as an app for the iPhone and iPod Touch on iTunes. As fast as you’re moving, the high contrast, high visibility ultraviolet colour scheme allows team mates to find you even faster, so you get the ball delivered right at your feet. Flywire technology is fitted throughout a lightweight, multi layer composite upper to deliver a precise fit an optimal support. The carbon fibre composite plate – the lightest and strongest chassis made by Nike – reacts instantly to your demands for speed. 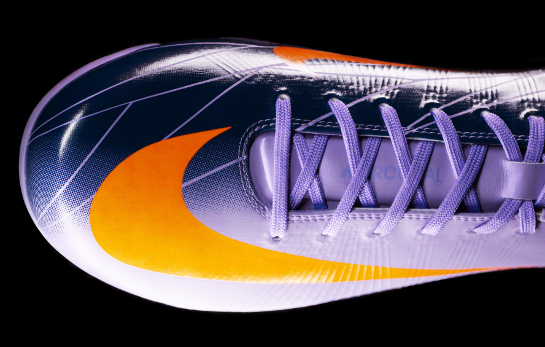 The Mercurial Vapor Superfly II boot was released on 1st April 2010 at a price of £275. Very bold choice of colours! Makes the Laser III look understated. The Stud idea’s pretty cool – I’m looking forward to seeing a test showing how that system works. The more I look at the pictures, the more I like the pattern on the inside of the boot. At First I hated it…but now I’m glad it’s there to break up the purple colour. Can you imagine if the whole boot was the colour!? it’d be awful! Loving the new studs – first time I saw some of the pro’s wearing em in training I though they were just there to spin and I thought Nike had just robbed Lotto’s twist’n’go studs!! Wow – agree with Kyle – bold is a good description of this colourway. I Wonder How Much These Will Cost? i like the new design with more flywire to support the foot. I don’t know how Nike do it, but they always seem to throw out ludicrous colorways and designs on their shoes, and they always seem to grow on everyone and become accepted and liked. The Superfly became my favorite vapor ever after their release this past fall and after seeing these for the first time a few months ago I had questions about how much I liked the change, and after reading this, I think I’m going to love the change. Bravo Nike, bravo. More evolution than a revolution, which is good since the 1st Superfly is still very, very different from most every boot out there. Props to Nike, I like how this new designed bottoms work. 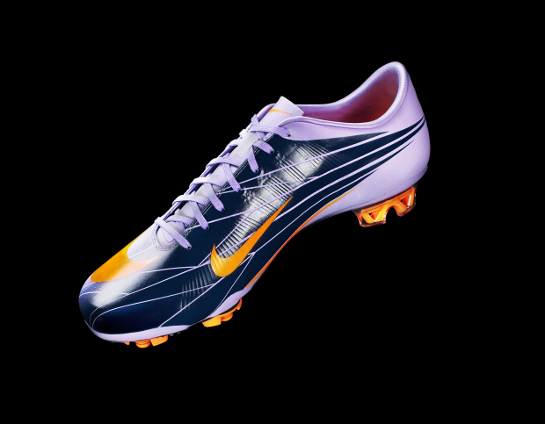 However, I hope this pair won’t attract too much mud like the new T90s. Jay Waller- I have it on good authority that it’s Ăâ€šĂ‚ÂŁ225 in the UK. Vapor IV – lace cover + flywire = superfly 2? Pingback: Vapor Superfly II’s Are Here! so lets put on a bigger swoosh(vapor 4) put some color on the instep, change studs a little and that would be superfly 2. what is nike thinking? Hmmm…These boots have nothing on the AdiZeros…good try though Nike! Okay, enough with these outrageous colours…Can we get some more discrete and stylish colours pls…A guy would look like a bloody clown in those things, love the rest though..
You’ve got to see these things in the flesh to see how sweet they look. And there is miles more tech in them than first meets the eye. Killer! I’m sure a company in the 90s tried out the idea with the studs. Got pulled from the market because so many ppl got injured (ankles and knees. 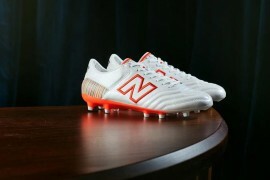 The design seems to be…out there but if i was goin to pay Ăâ€šĂ‚ÂŁ225 for a pair of boots they should look better than that. I’ll stick with Speciali’s and preds. i agree with MISTERBOOM12, nike always do it, make a “bad” conbination of colors, and everybody says, including me, “what the hell is nike thinkin'”, and then that ugly boot start to grow on everyone, and we start to say, “well is not that bad, i like the combination”, yes maybe is similar to i dont know what boot, but you will buy them. im blind, or nike deleted one stud ??? I hate to say over-hyped but the release of these boots was rather ostentatious….and it’s only just a single boot….. 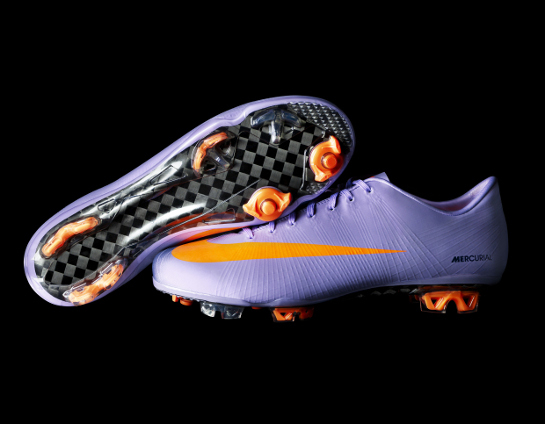 They look exactly like the superflys with a different color scheme… not impressed by nike at all. Sticking to my 360’s forsure. Nd about $150 less then the superfly 2 makes it an easy choice..
One of the studs of my blue superfly boots just came off… So I won’t be wasting another 220 pounds on superfly boots again. I only had them for 5 months. So as I see it, they added very little, and are going to sell them for the same outrageous price that they have always been sold at. Nike fanboys will be slobbering over these and no doubt this boot will be purchased in high figures. As for the rest of us, the educated and unbiased boots lovers, I’m sure we’d rather wait a couple months for something truly innovative and revolutionary and almost half the cost (and also significantly lighter; the Adizero. oh hey didn’t diadora do the same thing to there studs like 4 years ago? um yup, they did. Don’t understand why Nike, as standard practice, don’t release every boot in all black (with a white tick) and all white (with a black tick). Some of us just want the boot with a simple colour, while still taking advantage of the technology. These two colourways should always be available, in addition to the outrageous ones. NIKE ID is too expensive considering i am looking for a simpler finish, not a more complex one. thanks for all the coverage, I hope you guys post more boot reviews cause i think they are really good! guys , now there are benefit from the ugly colour. not like the laser III. i’m looking forward to see the oter colourway. maybe red and gold will be nice. I see this shoe as a gadget. Expensive materials, eye catching design and you make a shoe that does exactly the same as the rest of the speed shoes but a couple of hundreds pounds more expensive. I would never change my k-leather boots, Adidas Predator HG for turf, Puma King SL for firm grass and Adidas World Cup (screw in studs)for wet pitches. second, the upper. i’m disappointed that nike are practically done nothing with them. while adidas are coming up with this revolutionary and totally new groundbreaking adizero, nike add some graphic to the instep. great. channo, They completely changed the stud pattern. Channo – I hope Adidas end up doing that!! You ever thought of a career in PR?! I’m not totally sold on this super light idea. I think eating a lighter lunch or taking a pre-game dump will make a greater difference in weight to you overall than a few fractions of an ounce lighter materials on your feet. Do lighter shin guards make you faster as well? There is only so much affordable/sensible technology that can be put into a football boot without compromising on weight. We have intergrated the new adaptive stud technology and still reduced the weight of the boot. There are also alot of other smaller tweaks added to the boot to help the player, the superfly range has moved on from just being a superlight boots, to a super quick boot. Traction of the line will be greater than the adizero, ensured by the new stud and also the smaller tweaks, for example on the toe end of the boot we have cross-hatched the underside. I have seen both the Superfly II and the adizero first hand. The adizero is going to blow this shoe out of the water! The leather version especially. 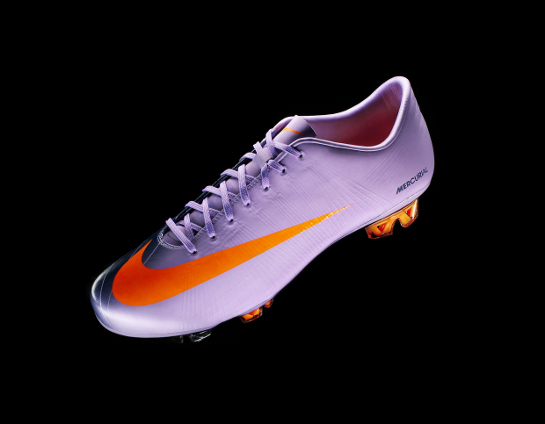 The violet is possibly the ugliest color I have ever seen on a boot! The colors down the line don’t get much better either. Nike own Umbro now a days, so it was very good on their part. Adidas are going to have to do something special upon release of the adizero in May, but once people try the two on, there is no comparison. Also the adizero is half the price! Watch this space! the vapor v is the best mercurial in my opinion, for the amatuer player. superfly is just too expensive, and this new one looks foul. i agree with BOB !!! and adding to his comment, how many players will wear them ??? @Tom: by “we” i’m assuming you work with nike or something? @Trampmastafunk & Tom: yes, love the new studs! well, maybe i forgot to mention it on my earlier post, but i really like how the whole “acceleration” idea are integrated to this boots! unfortunately, i’m talking about the upper. i remember the first time i bring my T90 laser II to the pitch, all the guys was like “daaaamnn”, and “wooooww”, “aaahhhh”, “what’s that man? ?”, “is that a new nike??”. see, not all football players are boots enthusiasts, they just wear what’s good (or what’s available). some of my friends didn’t even know about this launching event. they wouldn’t know if this is a new superfly, they could pass em’ in some boot store and just think that this is another colorways of the previous superfly. lastly, i can’t hold myself to comment about the colors (haha, sorry :P). i don’t really think the purple is that bad -it’s quite nice actually. they’re FAR better than laser III’s green-red combination. but to promote them as a gimmick?? c’mon guys at nike… u’re better than this. i got a teammate who wears yellow. he’s the brightest feet on the pitch (most of my all other teammates wears black), and how many times did i pass to him for “spotting something bright”? none. i pass to him only, and only because he’s in good position -just like what Bob have said. they are turf actually, i dont get how people wear bladed studs on the numerous turf pitches these days. @ fifinho: You pretty much summed it up. I donĂâ€šĂ‚Â´t like them folks. 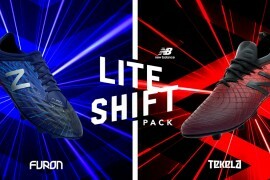 Theres a black one with electric blue instep design and swoosh ! They looking nice !! There is also a green one with Navy instep and a white swoosh i think ! that channo, with his usual top level comment ! first of all the design, its a vapor iv with some paper on the inside. CHANGE THE DESIGN.and that colourway, well look at it you’ll so out of place like a terrorist at a nobel peace prize presentation. And the price is just ridiculous, the adi-zeroes are probably gonna be cheaper and not much heavier. oh and how about the superfly I, its price will go down and then you could buy that, but even better, you could just buy a vapor v, its not that much heavier and even more cheaper. since the vapor iv it seems like nike don’t know what they are doing with there vapor range. finally the studs, seems like a good idea, probably the only reason why i’d buy the boots, BUT, they stole lottos twist n go. the stud has become such a big deal that they havent stated how much they weigh? and for a speed boot isnt that one the most important things. anyone know how much these weigh? liverpool fan, that studs dont spin ??? EACH YEAR THEY GO UP IN PRICE! i bought a pair of the new t90’s and my code for the nikesoccer+ training thing doesnt work?! can anyone help?! idk where to else to ask? Hi Jay Z – The Vapor VI will more than likely retail at around that price. their really kool cant wait 4 them to come out on sale!! Ronaldo will be wearing superfly II’s. Messi will be wearing adizero’s…. Small weight change? From what i read these superflys are 210g, in a US size 9, which is an increase of 25g from the original superflys. I hear adizero’s are going to be 165g. Nike have sold millions of pairs of mercurial vapors on the basis that every gram counts, and now you’re telling me that a 45g difference doesn’t matter. Ăâ€šĂ‚ÂŁ275 for another stud, cheers nike. I’ve owned every pair of mercurials, 1,2,3,4’s and superflys. I will be wearing adizero’s next season. Im a mercurial fan for years. And i like the superflys but the superfly 2 is heavier and they say the studs are better and that you dont slip on them well ronaldo slipped almost every time during the game vs Atletico Madrid. He even switched back to the yellow superflys so i think Nike should come up with something better so i stick with the superfly 1 now and i probably gonna buy the adizeros. Adam is right about the weight. I have the superflys in size UK10 and they weigh even more then 210 and then all the dirt that gets stuck during the game inside the holes in the studs so the boots gonna weigh around 250 gr! A picture on the internet showed a adizero boot UK10 on a scale and it was 167 grams! So when both boots arent dirty the adizero is 50 grams lighter and even more lighter when the superfly studs are full with dirt. For us it’s a good thing Adidas comes up with this boot so nike have to step it up and make the boots lighter and better or alot cheaper. are they like gonna make me fly when i wear them?! or maybe you just put the shoes on the field and it starts moving by itself and scoring goals! it’s just a football boot at the end. no matter what technology you used, you cant justify that price. i hate the color why pink? 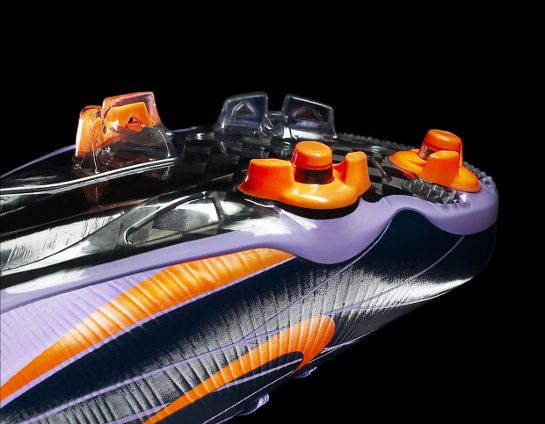 Pingback: IS THIS THE FUTURE OF FOOTBALL BOOTS? Pingback: DEMPSEY: WHY I'VE BEEN SWAPPING FOOTBALL BOOTS!